Feng Shui or Your Way? I recently came across an article touting the benefits of Feng Shui and how to apply its principles to every area of your home…right down to picking out a bathroom floor mat. To be very honest, I don’t recall where I saw it (ah, middle age), but I will read just about anything on the subject of home décor, so I dug in. I was vaguely familiar with the ancient Chinese art and its modern interpretations, but I read intently about color choices, furniture placement and how the proper decisions would lead to prosperity and serenity. However, by the time I finished reading, I felt anything but calm. To start, the colors in my house were apparently all wrong. So, by the way, was the placement of virtually every piece of furniture and accessory, especially in my master. I have a small bedroom and I have several mirrors in there to brighten it up and add visual space. I also find it rather helpful to see myself when I get dressed. Well, according the article, my mirrors were reflecting all the wrong things....not the least of which is the toilet. Oh boy. Next violation, there is only one place for the bed, and that place is not optimal for anything beneficial. As I ran down the "don't put your bed here" list, I began to cringe. By Feng Shui standards, I was not creating a happy home. My room was askew in the eyes of the universe and that idea was extremely unsettling. Frankly, by the time I was done reading, nothing about Feng Shui was making me feel even the slighted bit serene. I derive great pleasure from feathering my nest and I love the look of every room in my home, down the to smallest knick knack. My blog is all about empowering people to decorate their spaces in ways that bring them happiness. Surround yourself with the things you love and find meaning in; that is my decorating mantra. There are no rules, I've said, take the pressure off yourself, don’t worry about whether that rug is right for the space or not, go with your gut and enjoy the process! “Wait!” screamed the article…there are consequences for decisions made on a whim and they could be dire ones. Think about what you really want out of life, are you there? No? Turns out the color of that bath mat may be the problem. A hasty choice at Homegoods could be what’s holding up that big promotion, your invitation to the neighborhood potluck and your potential date with Mr. Tall, Dark and Handsome. Honestly, it could be the reason for that nasty cold you’ve come down with, as well…at least according to fans of Feng Shui. At least, according to the article I read. I’m sorry, but I guess this practice is not for me. I just don't believe that what you place in your house has any bearing on how your life turns out…unless of course what you are putting in your house is pesticide or a live lion. By nature I am very open to new ideas, accepting and non-judgmental. I know that there are many, many people who do believe in Feng Shui and happily decorate accordingly. That's fabulous, I say more power to them, I am just not one of them. I want to decorate my way, in my own lawless fashion. Now, if you'll excuse me, I have a mirror to move. Or a toilet. I haven't decided yet. Cute post and I agree totally. Feng Shui is not for me either. 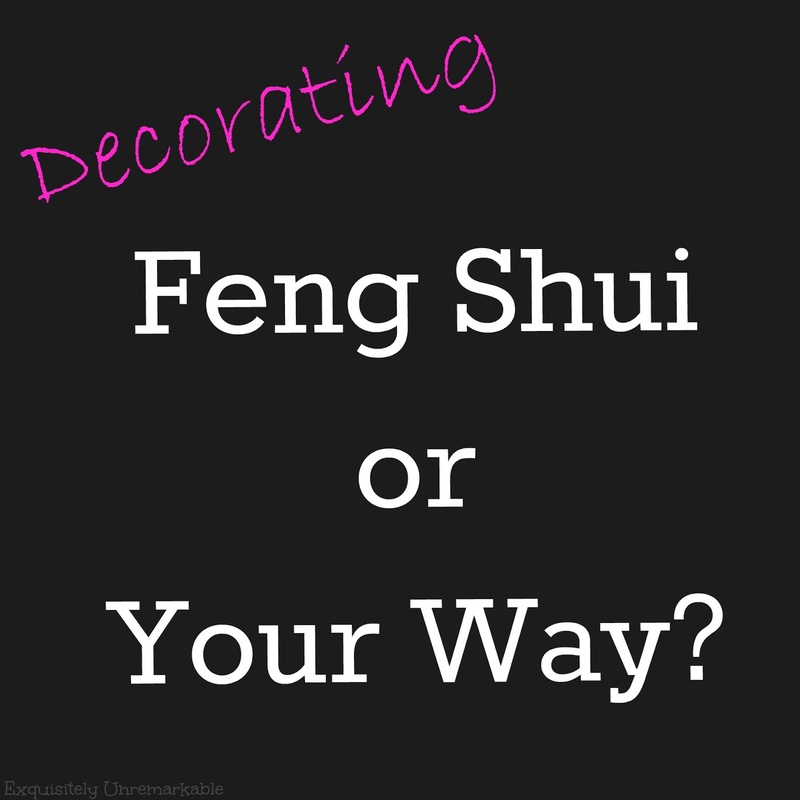 I loved this post Kim and Feng Shui is not for me either. I agree with you moto! From the photos it looks like you have a lovely home and comfy. You even did your friends stage for her moving! Have a wonderful day friend! Oh girl you had me in stitches! I say to heck with Feng Shui, I'll do it MY way! Your home should reflect you and I agree, break all of the rules. It's much more fun that way! I'm glad I could make you laugh, Jann! Lol! I wasn't familiar with the "rules" of Fung Shui either, all I knew about it was that it was suppose to make life calm & serene. Well, now that I'm an empty nester my life is now calm & serene, lol! In my eyes, there are no "rules" in decorating, except live with what you love........and I certainly do!! Hi, Kim. No, but I am familiar with it, and have a similar reaction. Though I do notice odd things for example buildings alone on top of a hill, that's bad feng shui, but I don't think it looks good either. I agree Su. I don't think that looks good either. I have read some of the original premises and they do seem to deal more with creating harmony between a structure and its natural environment. I'm just not in love with the idea for home décor! So funny - you're such a good writer, Kim! I totally agree with you. We should decorate our homes the way that makes us happy and not worry about a lot of rules - that would just take all the fun out of it! Love this post. It has been a long time since I read anything about fung shui and I don't remember any of the rules so I guess it really made an impression on me. I imagine that in a house with lots of large spacious rooms it would be easier to do and there would be more options for furniture placement. I do believe that color can affect mood and that some furniture arrangements are more calming than others but the idea that it can affect a promotion or the people you meet or a nasty summer cold seems a little farfetched. I agree with other comments, that from your photos you have beautiful rooms and great taste. 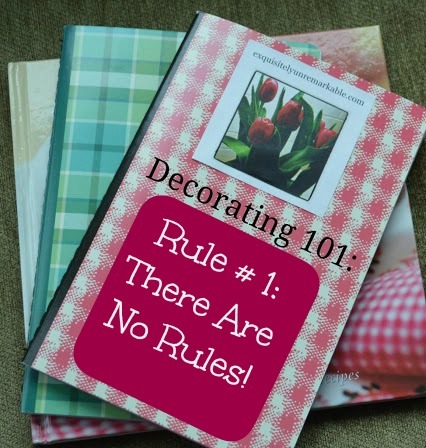 The only things close to rules for me, are suggesting odd number of items in displays, and lots of texture, pattern and color EVERYWHERE! I'm not nuts about beds pushed up against walls in a corner, but in small rooms, if ya gotta, ya gotta! And I want decorators and designers to design for the client, NOT THEMSELVES. It isn't THEIR home! Hahaha! Your so funny Kim! I can imagine the look on your face while going thru the fen shui and all the 'supposedly mistakes' you have! Anyway, I grew up on this mantra - no, I'm not Chinese, nor are my parents, I'm Filipino 100%, but my dad is the decorator in our home and he had feng shui 'masters' come 2x to our home in the Philippines, while it was being built and afterwards and he tried to follow most of the advices. But in the end, his aesthetics and wants won our home over, and so he 'defied' a lot of the rules. And I asked him why do it in the 1st place? he said, he that knowing and following 'feasible feng shui" advices can really no do harm and may bring some good, so he might as well know! So in the end, he still broke a lot of rules and so have I, I try to follow what I can and what can work, since after all it won't do me any harm to follow, it's like an extra point I can make to myself and my husband when we were placing the bed with feet facing away from the door, I got more points than he did when I added the feng shui factor. One thing though that I have stuck with in my home that's feng shui related is that I NEVER have any turtle or turtle pieces in my home, ever - since this signifies slow growth over all life. I can live without the turtles, so I stuck by this all this time! Hi Kim, You are so funny...and I totally agree! It seems a huge stretch to think that where you place furniture or a mirror could actually have an effect on other parts of ones life....but different strokes for different folks I guess...! I remember that song, Nancy...and now it's stuck in my head, too!! ;) Glad I could give you a good laugh! It's my favorite thing to do! I have read quite a bit about Feng Shui but do not buy into the entire concept. What I did realize from my reading is that sometimes you do have an awkward arrangement (maybe you do not even realize) & it just keeps you from feeling comfortable in a space or you feel the need to be constantly tweaking. So basically, I think it all boils down to personal needs and tastes, and once you are true to yourself in those areas, the room feels "good." Just wanted to thank you for your comments on my most recent post "California Cruising." Carol, thanks for coming by today and leaving so many sweet comments! Your comment about space arrangement makes perfect sense. It's all about listening to your own intuition, if Feng Shui helps people bring things into focus, that's wonderful! Well, Kim, I think you know, that I do whatever looks best to my eyes and I believe that is exactly what you do, too! I always want to say, "whoever thinks they can place my things to please themselves is wrong." Let us hear how much of that book you read! ;) Your home always looks wonderful! Haha -You know me so well, Helen! The book hasn't even been cracked open yet! When (if) I do, I'll let you know if I find anything of interest! ;) Thanks for the kind words!